Please note that we have moved to web-based payment starting with our Fall 2018 season. 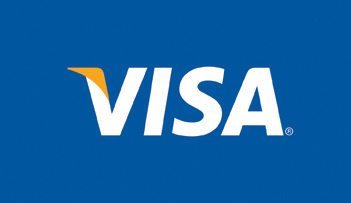 Our system will accept VISA or Mastercard payments for all programs. Welcome to the Bolton Skating Club! The Bolton Skating Club was established in October, 1963. The club started operations in the old Bolton Arena, then located on Hickman Street in downtown Bolton. We now use the ice facilities located at the Don Sheardown Memorial Arena - Albion Bolton Community Centre located at 150 Queen Street South in Bolton & Caledon East Arena in Caledon. We are a member club of, and sanctioned by, Skate Canada, with a membership surpassing 400. The Bolton Skating Club is a non-profit organization run by an Executive Committee comprised of parent volunteers. An Annual General Meeting is held every May where parents may volunteer and are nominated for various positions to be filled on the Executive Committee. To encourage and develop the skating skills of each skater and to ensure the availability of beneficial programs to accommodate all skaters. Our name best reflects our primary focus to teach those young and young at hear the joy of skating. We offer a full range of programs including learn to skate for children, learn to skate for adults, figure skating, power skating and preschool skate programs. We hope to see you on the ice with us soon!